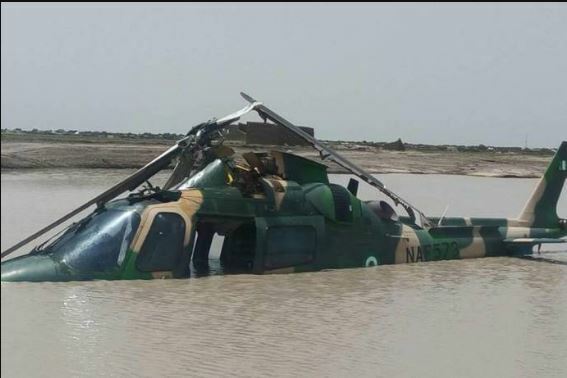 A Nigerian Air Force (NAF) helicopter crashed in combat on Wednesday night while providing close air support to troops of 145 Battalion at Damasak in Northern Borno State. Air Commodore Ibikunle Daramola, Director of Public Relations and Information disclosed this, but he did not disclose the model of the helicopter or how many personnel were inside it at the time the crash happened. Nigerian Air Force has over a dozen of Russian made helicopters, MMil Mi-17 and Mil Mi-24 models.